I meant to write this review three days ago but…I was busy. The media makes a lot of “busy” these days – how we wear it like a badge, how busy as a construct is not a great thing for us to be experiencing in our lives, how we fill our lives with so much stuff that we’re not exactly relishing the moments we’re in. And, you know, while I couldn’t really care less what the media says about pretty much anything – there’s something to it. 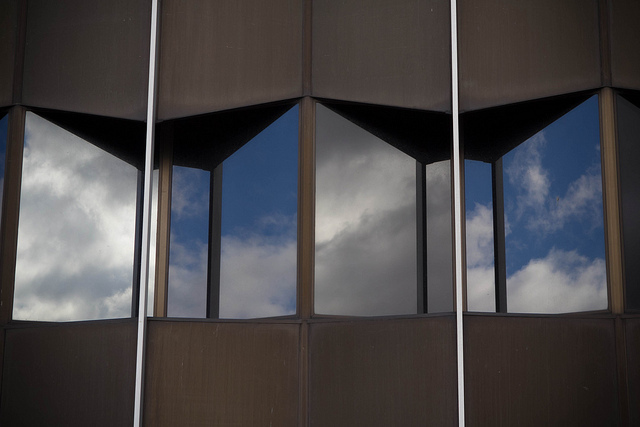 Even if we’re not glorifying the state of “busy” – fact is, most of us are just… too busy. Let me be clear: I am not the intended target audience for this book which is listed in the “Christian Personal Growth” category on Amazon. I am not a person who is drawn to faith-based books. There’s a lot of faith in this book. 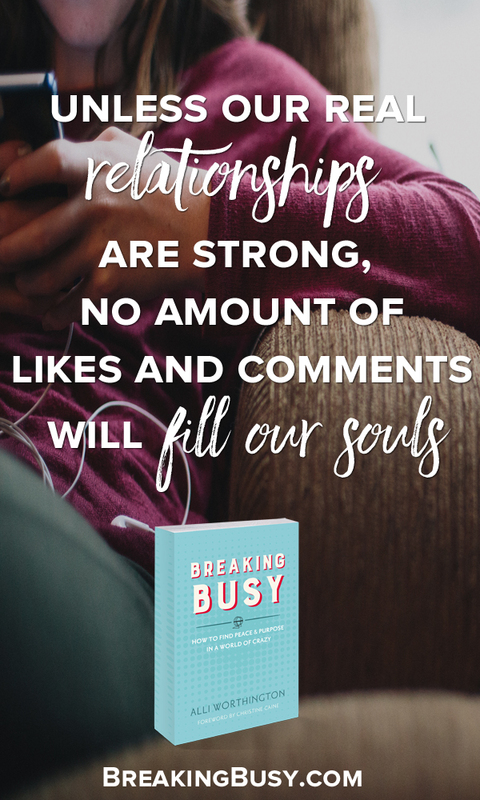 You would think – since I’ve just said that that’s not what floats my boat – that I wouldn’t have much to say about “Breaking Busy” but I think you first need to know a few things. I know Alli knows busy. 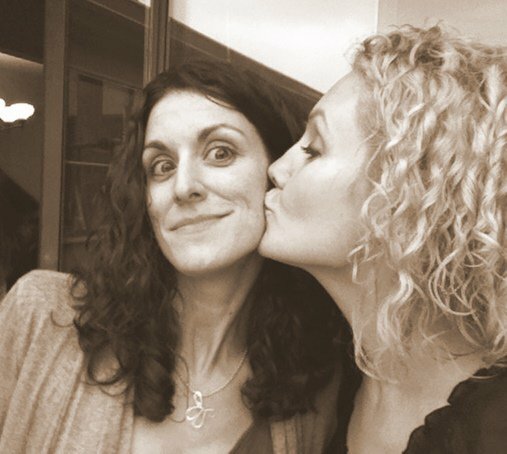 I met her about a hundred years ago (in blog years) through Blissfully Domestic. I was a contributor first, then an editor. It was through Blissfully Domestic and Blissdom that I met some of my favorite people I have ever met in my life. I saw first hand the effects of busy – and just what it takes to put on a conference so big and coordinate and manage and make something look effortless. So – on I read. It’s true – I am the unlikely audience of this book, but I still walked away with a lot from it – and I’d recommend it – even more so if a bit of a kick in the pants with a faith-based approach is your jam. 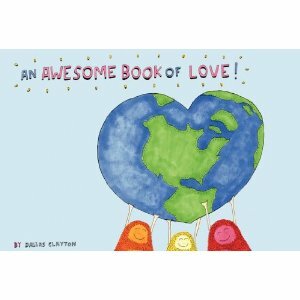 Day 12: A Children’s Book for Adults by Dallas Clayton. A review. In college during midterm and finals season, I would keep my copy of Dr. Seuss’s “Oh The Places You Will Go” on my desk. I’d read it before I ventured out onto campus into my next test-taking adventure, certain that if it was not luck provided to me by reading those words, it was a certain bit of centeredness, calm, that I got from the ritual. There’s always been a place in my heart for children’s literature, for nonsense rhymes. There’s a bigger place in my heart for literature that is fun, but has meaning. I admit it, I’m a sap. A mushball. An emotional sponge soaking up what is around me and feeling ALL OF THE EMOTIONS. It’s just me. I’m just that way. The day I received a copy of Dallas Clayton’s new book, I stood at my kitchen counter reading it out loud to my daughters as I read it for the first time. Several pages in, my voice broke and my eyes welled up with tears. By the time I turned the last page, I knew I’d found a keeper of a book. It resonated with me. It hit me at the core. It was indeed, a children’s book for grownups. And maybe it’s because of where I am and how life is – and if things were smooth sailing, perhaps I’d not appreciate it as I do. Without getting too cheesy, this book is uplifting and spoke to my heart with a quiet simplicity. I didn’t find it overbearing, heavy handed. It didn’t feel like it was forcing me to try to feel something. By and large a lot of what we experience in life, to varying degrees, is universal. There are struggles and we’re all needing to find our way, make the most of what we can. But I find that when I am at my most stressed, books like this from Dallas Clayton, or Dr Seuss bring a bit of calm. 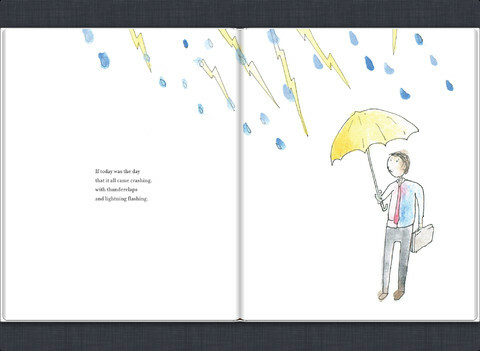 Maybe it’s the pictures – just how often do we get picture books now that we’re old? Maybe it’s the calming rhythm of the rhyming text. Maybe it’s the acknowledgment that yeah, life can be really hard, but it’s hard for everyone, and if you can look past some of this crap (Note: Dallas Clayton doesn’t say “crap”), you’ll see there’s a lot of amazing and wonderful things to be experienced. or you cried like forever. 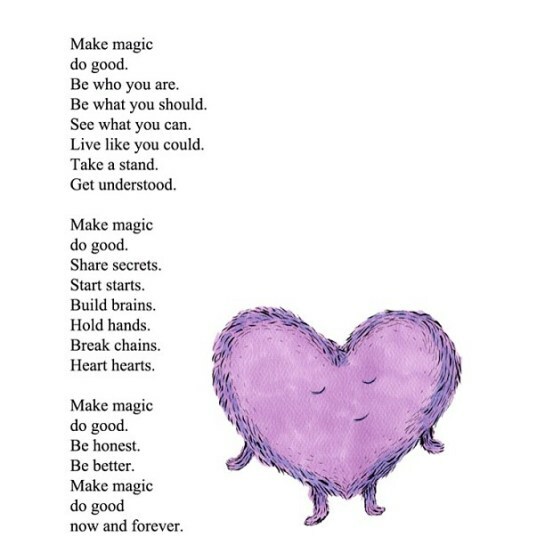 I kind of really loved this book. This one will stay in my library for awhile. And like Seuss’s book that I reread before exams, I am certain that there will be times when I’ll revisit this one for its comfort, as well. 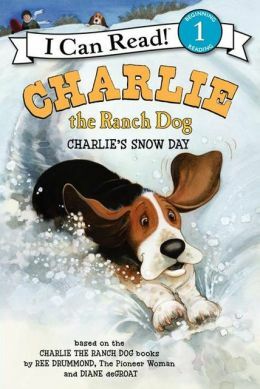 See, the awesome thing about writing every day is that I have had a stack of books that I’ve needed to talk about and since I’ve committed to talking to y’all daily, NOW is the chance to tell you about some super cute books for children that celebrate the autumn season and some that celebrate Thanksgiving. And hey, I’m even telling you about ’em kind of early enough that if you want to pick up these books for Thanksgiving you STILL can. Or you can just get a jump on next year. As always, these books were provided to me for review and the opinions about them are solely my own. Well, fine – mine and my kids’. I have the kids check out every book I review — because sure, it’s fine if I like it, but you also want to know if your kids will like them too. 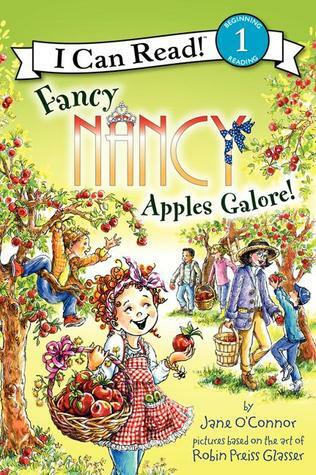 I’m pretty sure I’ve mentioned the Fancy Nancy books here before — because I love this series. I love Nancy and can appreciate a kid who wants add a bit of flair to what she does. I also love the way these books manage to integrate newer “fancy” vocabulary words in a way that is informative, fun and not at all heavy handed. 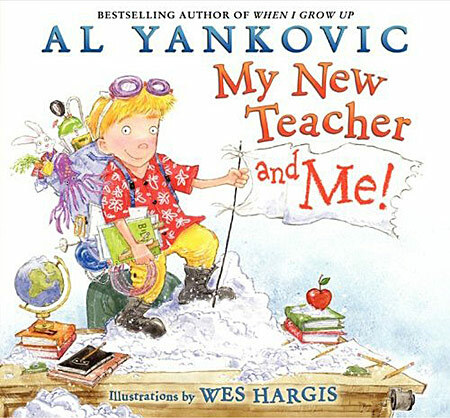 This book finds Nancy on a class trip to an apple orchard, with a trip buddy who is a bit of a boy who cried wolf (seriously, practical jokers? BOO). 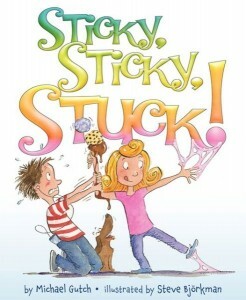 It’s a fun book, and you’re early readers might enjoy it. 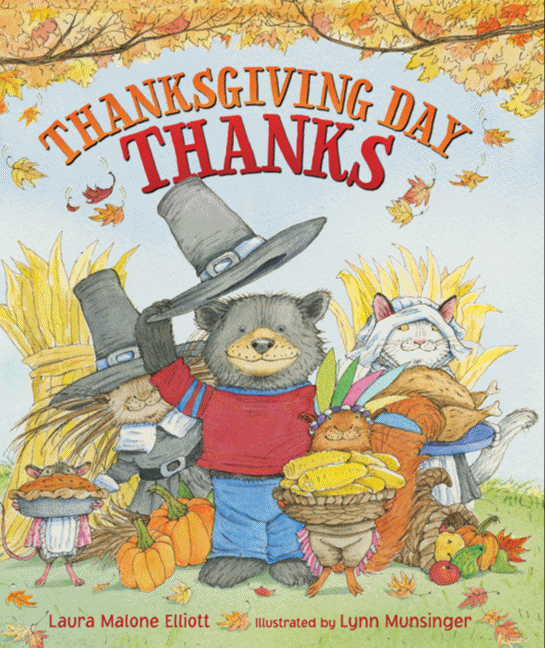 Filled with facts about the origins of Thanksgiving and Thanksgiving facts, this book focuses on Sam the bear and his animal classmates as they discuss the first Thanksgiving, what they’re thankful for, and creating Thanksgiving day projects. Sam struggles a bit – in thinking of what he’s thankful for, as well as determining what his project would be. Of course, he figures it out in the end. This book is cute – and gives a bit of the historical background for the holiday (hey parents, it’s okay if you’ve forgotten the stuff you learned in elementary school history – I know a lot of people are gonna disagree with that, but hey, I remember Algebra, so sometimes a little history has to disappear for that to happen). 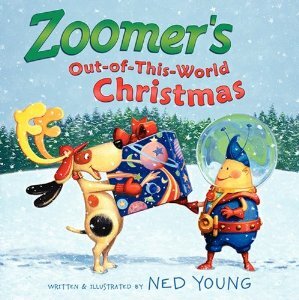 I guess children’s book authors were counting on us old folks needing a reminder for how to explain Thanksgiving and the pilgrims and the Native Americans to our kiddos. I kind of love how it’s done in this book, one of the many in the Pete the Cat series (Don’t know Pete the Cat? We sure do love Pete around here. The only way we could love him more is if he was a dog). 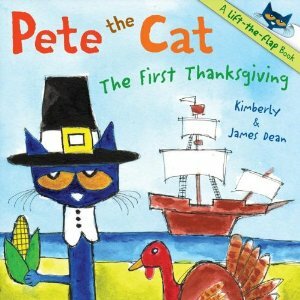 Pete the Cat is a pilgrim in his class play – and Pete acts out the journey to the New World, the difficulties the pilgrims faced that first winter in what became Massachusetts and the eventual meeting with the Native Americans and celebration of the first Thanksgiving. 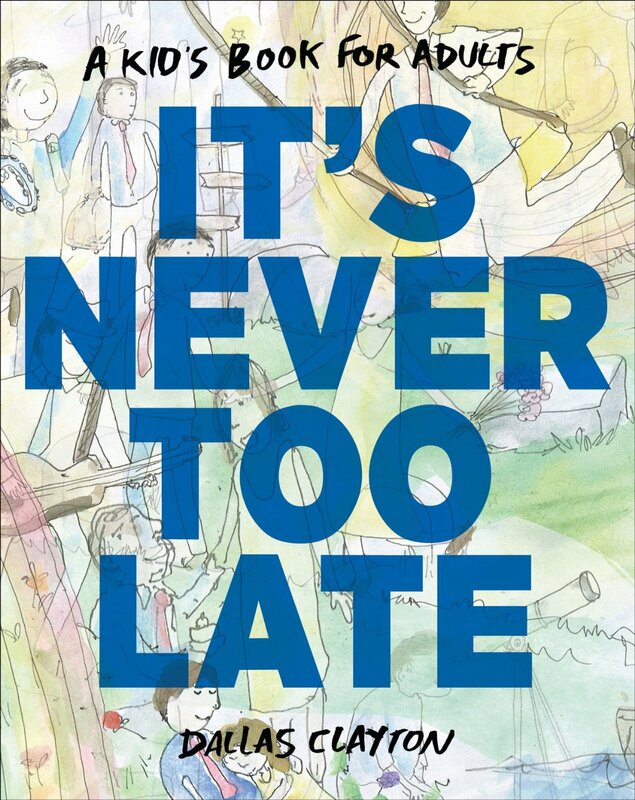 It’s a short, easy-to-read book (and easy to read out loud, meaning you’re not going to be recounting history lessons for forty minutes when all you wanted was to read a bedtime story to your kids). Nicely done, and as typical for most Thanksgiving books, gives you the opportunity to lead into a conversation with your kids about what they’re thankful for (the answers are always fun… and sometimes surprising). More Fancy Nancy! (Whut?) 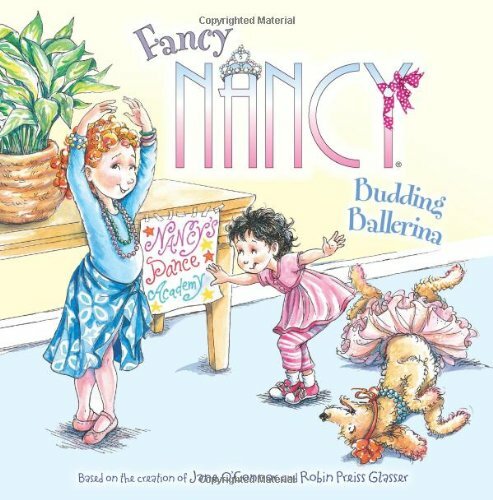 Though this book doesn’t have anything to do with fall or Thanksgiving, really, it’s a fun short read that has Fancy Nancy in ballet class (ideal because just think of all the fancy words in ballet — don’t worry, you’ll learn a bunch here — you’ll even learn how to pronounce some of ’em). Nancy decides to teach her dad how to do ballet in this cute story. I love the illustrations, I love how Nancy is a really genuine and enthusiastic kid. And I love that this demonstrate, and pirouette. 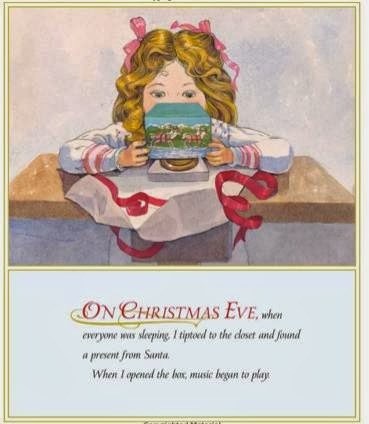 That’s it for now, but I just received a box of holiday books waiting to be read and shared with you. I’ll try to get those up before the end of the month (writer’s block will kick in and I will be SO HAPPY to have something to talk about. 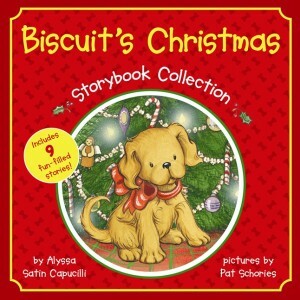 There are some cute new holiday books so be on the look out for that!). I love this time of year and everytime I think about Thanksgiving I get really hungry. And then I think of all the amazing things that I’m thankful for. It’s always a good reminder to count our blessings. 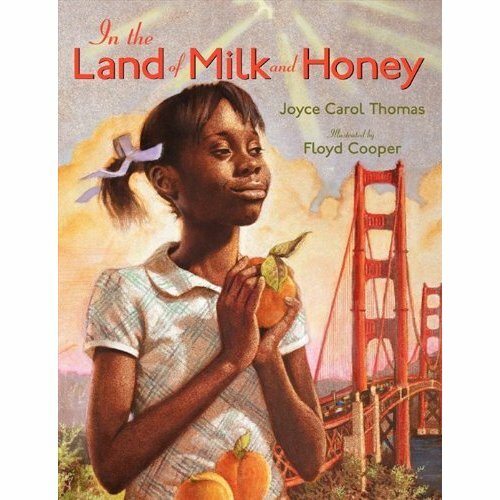 If you have kiddos in the three to eight years old age range, be sure to check these books out. Note, all links are affiliate because it’s my blog and sometimes it’s nice to make a few cents from Amazon (and I’m not exaggerating – I’ve made 89 cents so far this quarter. That’ll get me…not much). 1. Well, with all this free time on my hands I have decided to try to spend more time on portraits. 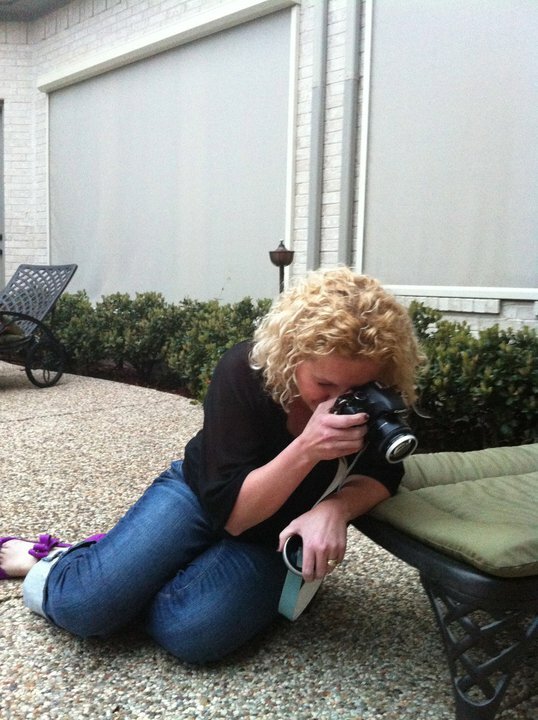 It’s a process because despite my business background and marketing degree, none of that helps with the lack of confidence that can creep in when it comes to my photography skills. It’s too bad, really, because I am the one getting in my own way. 3. Fall, how I already miss thee. What the heck, Michigan? It’s already COLD here. Cold weather means comfort food so last night I baked some beer bread. Delish. 4. And in the midst of editing photographs, I lose sight of taking my own pictures just because. Except this one. This one I love. 5. Halloween is coming and though I strongly dislike Halloween, there’ve been quite a few adorable Halloween books for kids to land in my mailbox. Like Monsters on the Loose! 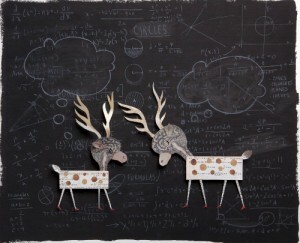 : A Seek and Solve Mystery! , which is very “Where’s Waldo”-esque but without the Waldo. A fun oversized book with brightly colored illustrations to keep your kiddos busy for a bit, looking for the “monsters.” Also Hedgehug’s Halloween – an adorable Hedgehog and awesome collage style illustrations. Finally, Lulu Goes to Witch School (I Can Read Book 2) , ideal for your learning to read kiddo. Each of these books retails for under ten bucks each on Amazon right now. Mostly because Halloween is in a few days and I should have told you about these awesome books like two weeks ago. 6. WHERE’S MY EDITORIAL CALENDAR? 7. Earlier in the week after a few rough days, I went on a walk after work with one of my dearest friends on the planet. We both kind of needed to vent. The long walk and the accompanying conversation sparked a lot of thoughts and potential blog posts (I always threaten to write deep blog posts but then I never do it, so don’t you worry). My wheels are turning. 8. I am pretty tired this week. Looking forward to a weekend of sleeping in. I hope my brain lets me sleep in! 9. A week past 37, I’m holding up remarkably well for an old lady. And… not really feeling any older. Birthdays are weird, I guess. There’s a lot of emotion tied into my birthdays, mostly because there’s a whole lot of upheaval in my life… but… aside from these gray hairs, I’m doing alright. 10. Every year my mom writes one of those long “this is what we did this year” Christmas letters — I’ve always kind of hated them. When I was a kid, I hated them because our year never could compare with those from people who spent their holidays skiing and traveling and having adventures. As an adult, they’re dreadful for kind of the same reason — how many years in a row do people want to read about us having essentially the same life? This year, I’ve asked if I can write it — it seems like we can’t just be business as usual this year. Every time I’ve tried to imagine what I’ll write, my eyes fill with tears – but I figure that will just have to be okay. One of my favorite blogging perks – since no one is clamoring to send me on lovely trips to write about them (though I’m TOTALLY open to that, FYI) – is getting brand new books in the mail to review. I get quite a lot of books, and it makes me and the little people tremendously happy. It also makes me friends happy because for some reason, I get a bit of romance novels and I really don’t care to read or review those so they immediately get passed on to friends who will dig ’em. When I get books, Pumpkin goes through them first (most of what I’ve received has been more fitting for a 4 – 8 year old age group, so The Princess opts out of a lot of the reading). She tells me what she likes, and I read and pare the list down from there. What you’re seeing here are some of our latest faves. 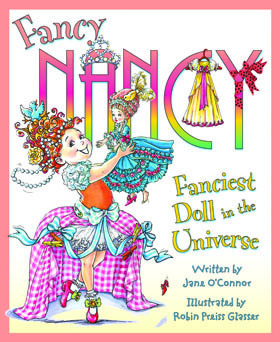 I’m forever a fan of the Fancy Nancy series – I love the illustrations, I love the concept, and I love the sneaky vocabulary lessons (“Then my mom tries consoling me. That’s fancy for making me feel better.”). In this latest book, Nancy’s little sister draws all over Nancy’s favorite doll with a permanent marker. Nancy is devastated that her doll is “ruined” and mad at her little sister. In the end, of course, the sister-drawn tattoo ends up being a good thing, and Nancy realizes her sister won’t always be little forever. I kind of dug this – I remember Pumpkin ruining her older sister’s stuff. It’s a sibling thing and it’s pretty common and I love how they covered it. A family so wrapped up with work, cell phones, television and the like that they fail to pay attention to little Annie except to tell her she’s sticky. So when Annie makes a sticky sticky sandwich and the whole family gets stuck they realize they actually kind of like to spend time with each other and it’s good to put the phones down and connect with the people in front of us. Uh, whut? Yeah. Kind of heavy handed, but a cute way to share a good message. And yes, I put the iPhone down for awhile after reading it. 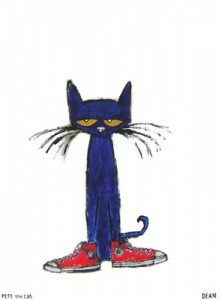 The Pete the Cat series (we just received Pete at the Beach, Pete’s Big Lunch, and Play Ball) are great because they are for beginning readers and are entertaining and somewhat challenging but not so challenging that you’re filling in every third word for your reader. But perhaps my favorite of the bunch is this offering from chef Tyler Florence (apparently, he’s also penned Tyler Makes Pancakes! which sounds equally fun). With the focus I’m working on instilling in my kids – eating more whole foods and less meals from packages (I’m not all the way there yet, by the way. My addiction to snack foods isn’t likely to end any time soon, but for meals, I’m doing a pretty darn good job), I love this book’s focus on the simple and natural ingredients that encompass a meal of spaghetti and meatballs. 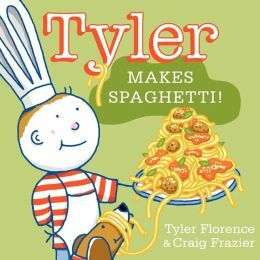 The book finishes with Tyler Florence’s recipe – and yeah, I’ll be giving that a try soon with the kids in the near future. So these are some of the latest pages we’ve been turning. 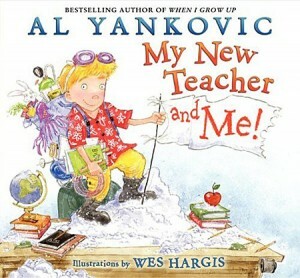 What have you been reading with your kiddos this summer? Though these books were sent to me free for review, the opinions expressed are my own. Amazon affiliate links used because why on earth not.